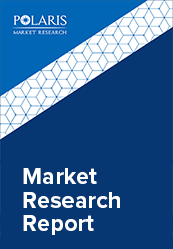 The global refrigerant market was estimated to be worth USD 15.66 billion in 2018 and is anticipated to grow at a CAGR of 4.4% from 2019 to 2026. The air conditioning and refrigeration has made tremendous developments over the past decade and have reduced the use of ozone-depleting refrigerants. The latest trends prevalent in the present global industry scenario is the tendency of market participants to move more and more towards the naturally derived refrigerants where ever it is technologically feasible. Synthetic refrigerants have dominated its demand in the air conditioning and refrigeration industry. It is expected that demand for synthetic ones will grow further over the forecast period and but it is anticipated to be in a minimal charge system and with low GWP substances. Several para meters including safety, efficiency, environmental impact, relatively atmospheric lifetimes, chemical characteristics and even the economy all of it has a significant influence on the choice of future product options. Hydrocarbons, carbon dioxide and ammonia are some of the naturally available refrigerants, while others such as HCFCs, HFCs and CFCs can only be produced artificially. The synthetic products have several characteristic advantages of refrigeration cycles over the natural ones such as superior thermodynamic efficiency and relative lower pressure. But, superior characteristics coms with a price of adverse environmental effect. Almost every refrigerant has a substantial (such as carbon dioxide) or a significant (CFCs) environmental impact and the two major influences are greenhouse effect and ozone depletion. The Montreal Protocol has been very influential, and HCFs was introduced as a perfect replacement for ozone depleting refrigerants. Currently HCFs are used more and as replacement for HCFCs that are generally applied as an intermediate solution after phase out of CFCs. Hence, consumption and demand for HCFs have increased over the years and is expected to further increase in the near future. Every policy encourages the further development and application of low-GWP refrigerants as an initiative to help slow down and ultimately reverse the process of global warming while contributing to ensure a worldwide economic development and wellbeing along with a future viability for refrigerants and the entire industry. Domestic refrigeration has witnessed significant growth over the past five years mainly among the economically emerging countries such as India, few of the developing parts of Mexico, Brazil etc. Around 63% of the newly developed or manufactured refrigeration systems for domestic use are charged with R134a and around 36% are charged with iso-butanes. It is projected that approximately 75% of globally manufactured refrigeration systems for domestic use will use hydrocarbons at least for the next eight to ten years. Charges for isobutane is less compared to R 134a charges. In addition to it offers higher efficiency as well. In most of the European countries, isobutane is the primary refrigerator for domestic use. Light commercial refrigeration systems that includes ice cream chest freezers and bottle coolers current make use of several HFCs, however the hydrocarbons are the ones gaining most of the popularity in Europe and also other geographies. Commercial refrigeration accounts for the maximum share in carbon dioxide emissions. The primary contributors are the super markets that normally use an HFCs with high high-GWP (R404A). CO2 and HCs are normally used are normally used as alternatives for HFCs. Both subcritical and transcritical carbon dioxide is currently the standard solution for supermarkets mainly in Northern Europe and several other countries. For industrial refrigeration requirements, ammonia is the most used refrigerant. R507 and R22 are among the other options often used in some countries. Ammonia being the traditional refrigerant for industrial refrigeration, its market share is expected to increase over the forecast period. It is also used with carbon dioxide cascade systems or with secondary cooling. But the primary problem with ammonia is safety concerns that exert pressures on charge volumes. Heat pumps mainly use HFC and HCFC refrigerants and are the most used ones in the present times. Propane is considered as the best alternative for traditional space heat pumps as it provides higher efficiency in the required temperature range. Carbon dioxide is also another most used product for heat pumps. Emission of refrigerants from refrigeration systems are among the major contributors to global warming and leakages from these systems are yet another major issue. Several initiatives have been taken that are aimed at reducing leakages rates that will eventually help in minimizing charges. Industry participants have been focusing more on production of natural refrigerants with minimum GWPs owing to growing demand for these products from end-users. Manufacturers are also working on developing low GWP synthesis. Even though none of these products are regarded as universal alternatives for HCFs, industry participants have made several progresses in transition to low-GWP alternatives. In terms of pricing of these products it actually differs from one country. HFCs prices are currently low in many countries as it doesn’t reflect the environmental impact according to the country’s respective policies. Many of the nations in the Europe are considering or have already implemented taxes on HFCs that reflects their GWP. HFCs currently offers the least initial cost in several applications owing to its relative low pressures and also most importantly the absence of flammability issues. Asia Pacific was the largest regional market in 2017 and accounted for around 30% of the global market. Japan had around 3,100 carbon dioxide stores in 2017. Indonesia has around 13 CO2 supermarkets. The first HC water loop system was installed in Southeast Asian countries. India is one of the growing markets for superstores and refrigerant demand is expected to be the fastest growing over the forecast region in the region. The global refrigerant market is fragmented with the presence of several multinational companies and local industrial gas suppliers catering to their local markets. Some of the leading industrial participants in the present marketspace include Honeywell International Inc., Dongyue Group Co. Ltd., Arkema SA, The Linde Group, The Chemours Company, Mexichem, Asahi Glass Corporation, Sinochem Group, Gujarat Fluorochemicals Ltd., Air Liquide (Airgas Refrigerants Inc.), Asahi Glass Corporation and Harp International.